Mario is the most popular keyword on google play and itunes. Many publishers have made a lot of money with the same kind of casual game, but no one make a game with as many features as the original. 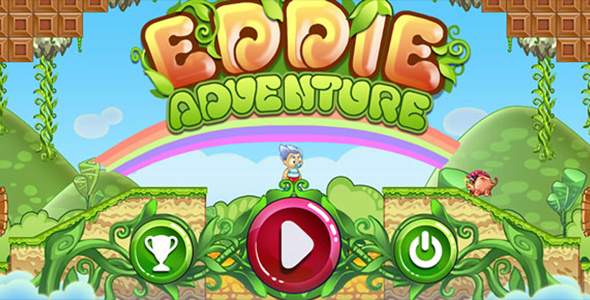 Eddie Adventures is different! The most awesome features in Super Mario Bros are included in this game. Get this template now and start earning with it! – The most powerful Mario-style game. – 24 amazing tested levels and 4 bonus levels. – Easy to add more levels with map editor. – Amazing features and power up like Super Mario Bros.
– Admob and Startapp Integrated. – Android and iOS supported.